Pioneers in the industry, we offer teflon round bar from India. Certificate Of Origin (COO) Certified COO by Indian Chamber's Of Commerce can be provided for Indian Origin items. Third Party Inspection (TPI) Allowed. Charges to be borne by buyer. Jayant Impex can offer Teflon Bars, Teflon Round Bars, Teflon Square Bars, Teflon Hollow Bars, Virgin Teflon Bars, Virgin Teflon Round Bars, Virgin Teflon Square Bars, Virgin Teflon Hollow Bars, Teflon Extrusion Bars, Teflon Rods, Teflon Round Rods, Teflon Hollow Rods, Extrusion Teflon Rods. Length for Teflon Bars: 10mm upto 1000mm depending on size. 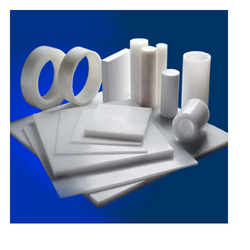 From Jayant Impex Pvt Ltd, India, Maharashtra, Khopoli, Mumbai client can avail Teflon Bars, Teflon Round Bars, Teflon Square Bars, Teflon Hollow Bars, Virgin Teflon Bars, Virgin Teflon Round Bars, Virgin Teflon Square Bars, Virgin Teflon Hollow Bars, Teflon Extrusion Bars, Teflon Rods, Teflon Round Rods, Teflon Hollow Rods, Extrusion Teflon Rods. Client can procure smaller quantities of Teflon Barsonline ready stock from us at premium cost in any destination by just sending us an email. If any requirements for Teflon Bars, Teflon Round Bars, Teflon Square Bars, Teflon Hollow Bars, Virgin Teflon Bars, Virgin Teflon Round Bars, Virgin Teflon Square Bars, Virgin Teflon Hollow Bars, Teflon Extrusion Bars, Teflon Rods, Teflon Round Rods, Teflon Hollow Rods, Extrusion Teflon Rods kindly do contact us. Looking for Teflon Bars & Rods ?